In polar regions, researchers and their instruments are working at their extremes. The ability to deal with harsh conditions is paramount, and the RBRconcerto C.T.D is designed with this in mind. Unlike other instruments, the RBR conductivity cell is based on high strength ceramics and shock-absorbing plastics, which are immune to abuse - no matter whether the instrument is dropped on a steel deck or if the instrument is embedded in ice. The measurement of conductivity in frozen water is of limited utility - but the ability to withstand frozen in periods is just another part of RBR’s design philosophy. RBR’s C.T.D package consists of connectors that are easily handled with gloves, cables that are standard issue, batteries that can be purchased anywhere in the world, and a conductivity sensor that can withstand freezing. 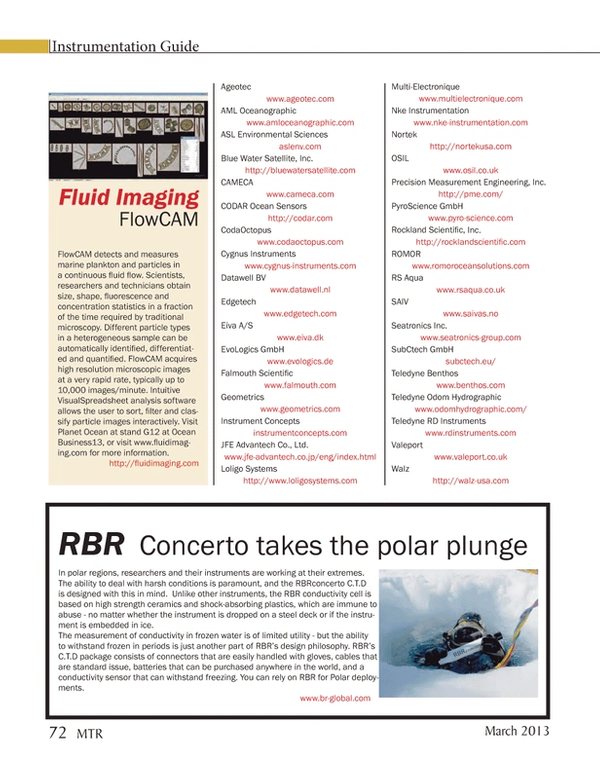 You can rely on RBR for Polar deployments.